I have another post I’ll be writing about this week in The Internet Course, but one of the gems early on has been finally getting to meet and work with Amber May given she’s in the course. I’ve known Amber’s work for a while now given how strong she showed in Alan Levine’s section of ds106 last Spring. Her voice acting is amazing, and I’m happy to hear she is exploring that across a number of courses at UMW, including Mark Snyder’s MIDI course. Here’s a recent song loop she created for that course which is hysterical. 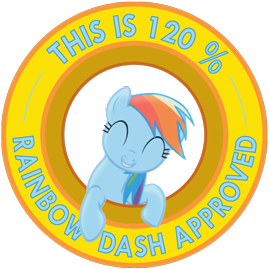 This entry was posted in Domain of One's Own and tagged domain of one's own, My Little Pont, Rainbow Dash, umwdomains. Bookmark the permalink. Amber is totally creatively audioly rainbowly talented. What a promo for UMW Domains, what a promo her work is for UMW. You couldn;t be more right, I owe you for the prepapration of the talent in my class, another value of the open web.